It’s no secret that things are a little different in Canada. Not surprisingly, so is their retail scene. There are no JCPenneys, Targets, or Kohls; however, they hold their own with chains like Zellers, Hudson’s Bay Company, and Winners. Also, there seem to be a lot more enclosed malls in Canada. 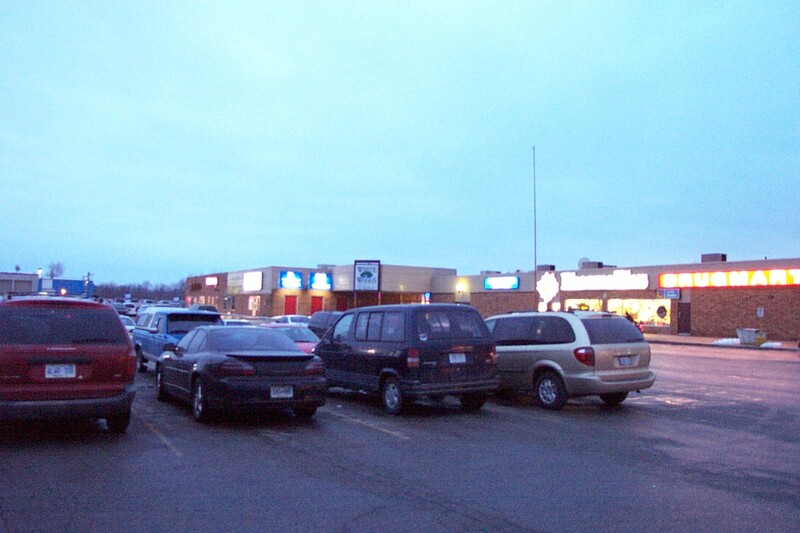 What would, in the United States, be a strip mall with outside entrances manifests itself in Canada as an enclosed mall anchored by a discount retailer such as Zellers or Winners, and a grocery store like A&P. These little Canadian malls have always intrigued me because they thrive, whereas the trend for smaller enclosed shopping centers in the United States is bleak. We in the U.S. have been shuttering our enclosed neighborhood centers in favor of open-air strip malls for well over a decade now. Why is this happening? Do people want immediate access to their favorite store without having to walk through a mall? Regardless, it may just be a bit too cold in Canada for them to give up their traditions and open up the mall. 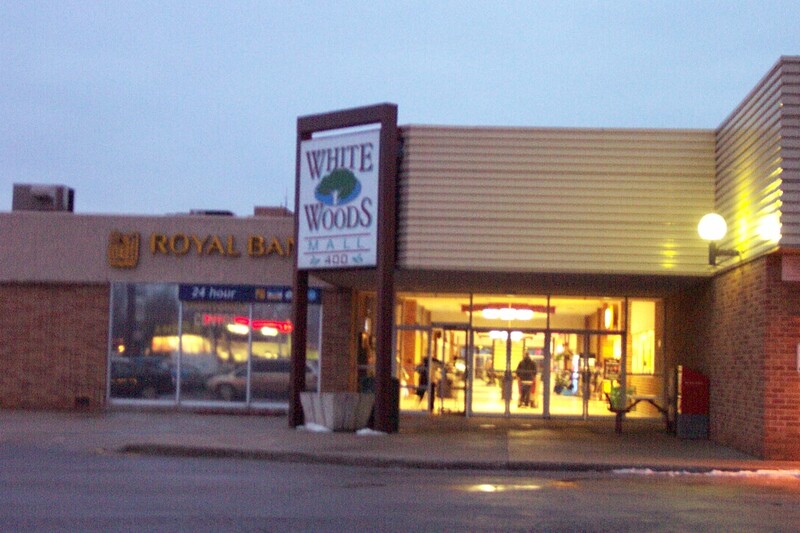 One of these small Canadian malls is the White Woods Mall in Amherstburg, Ontario. Located just a few miles south of Windsor, Amherstburg has a population of 20,000. Windsor, with a metropolitan population of 300,000, is an important border crossing with Detroit, Michigan. Interestingly enough, it is the only place where people go north to cross from Canada into the U.S. Also, Windsor and its environs are closer to downtown Detroit than most of Detroit’s own suburbs. So Although the Windsor area is not officially enumerated as part of Metro Detroit by either the Canadian or American governments, for practical purposes it is. All of these considerations are important when determining where people shop. Clearly many Canadians cross into the Detroit area to take advantage of the dozens of malls and chain stores there and while they have to pay the bridge and tunnel toll, they are exempt from tax in doing so. Nevertheless, there are four enclosed shopping malls on the Canadian side and White Woods Mall is one of them. 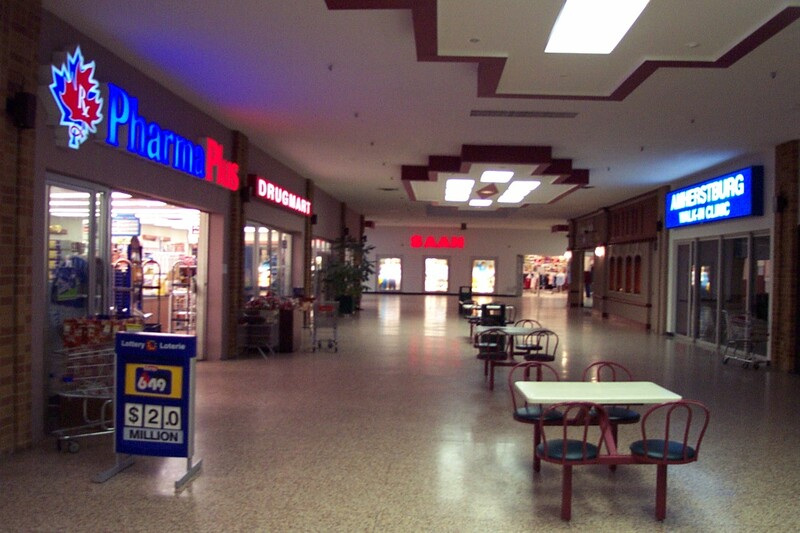 Built as the Fort Malden Mall, they changed the name within recent years to White Woods Mall. We mall connoisseurs know that when a mall’s name changes, it often gets renovated. In this case, that did not happen. 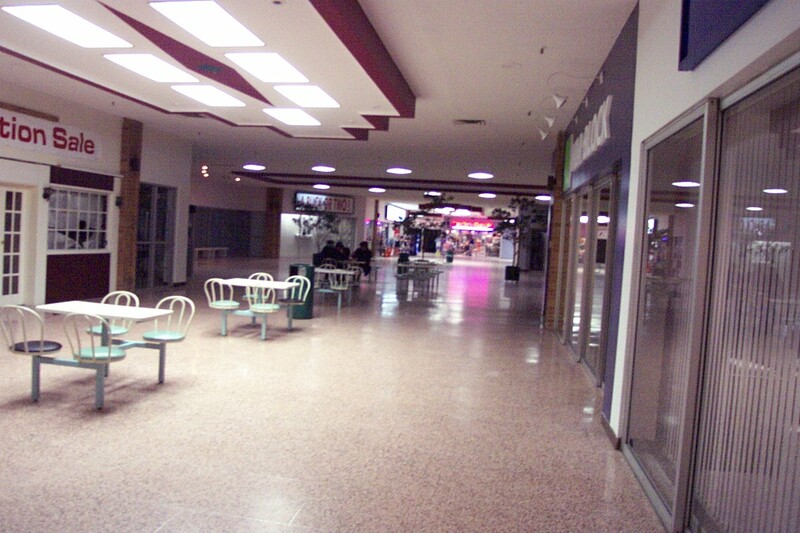 I visited the small White Woods Mall (aka sMall) in January, 2004, and it had many dated and closed storefronts. It was anchored by A&P Supermarket on the north end and Saan, a Canadian discount chain, on the south end. 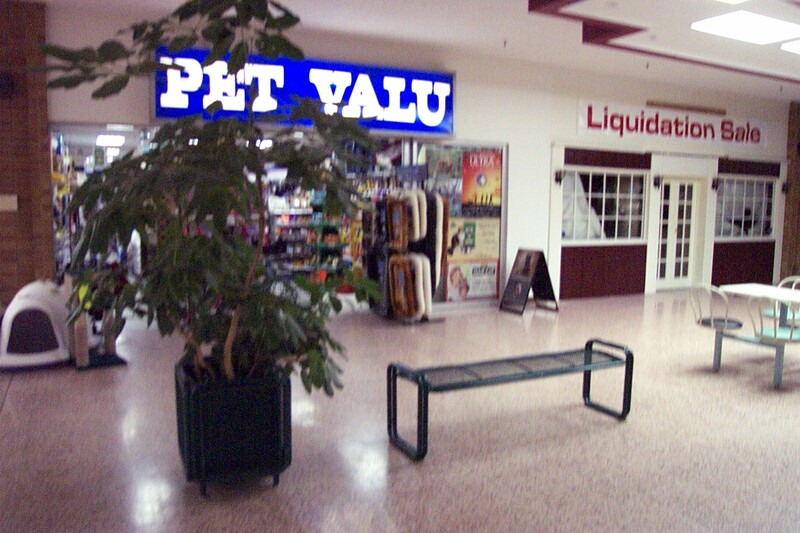 In the mall, which had a square racetrack layout, were as of 1/04: Royal Bank, PharmaPlus Drug Mart, Bank of Montreal, the Amherstburg Walk-In Clinic, Reitmans, Lee J Nails, Pet Valu, Radio Shack, H&R Block, A Buck Or Two!, For 1 Optical, and the Tender Tootsies Shoe Warehouse. Since I visited this struggling mall in 2004, changes have been afoot. It is rumored that Wal-Mart is looking to make an entrance into Amherstburg, and would like to tear down at least half the mall to build a store. A story published in the Amherstburg Echo in February, 2006 indicates redevelopment of the site is imminent. I grew up in Amherstburg and saw this mall have its ups and downs over the years. I’m not sure when exactly it was built – I suspect the mid-70s, since it’s been there as long as I can remember (I’m 31). The A&P/Saan wing was the original part, with the back section opened later on (early 80s, I think). Demolition has begun – I hope to take some photos over Canadian Thanksgiving weekend – with the fitness club in the southwest corner slated to remain standing. The A&P closed not long after your visit. * Saan was originally a Met (Metropolitan Stores) discount store. It’s sad to read the mall described as “struggling”. I used to live in Amherstburg and I still remember when the mall was built. 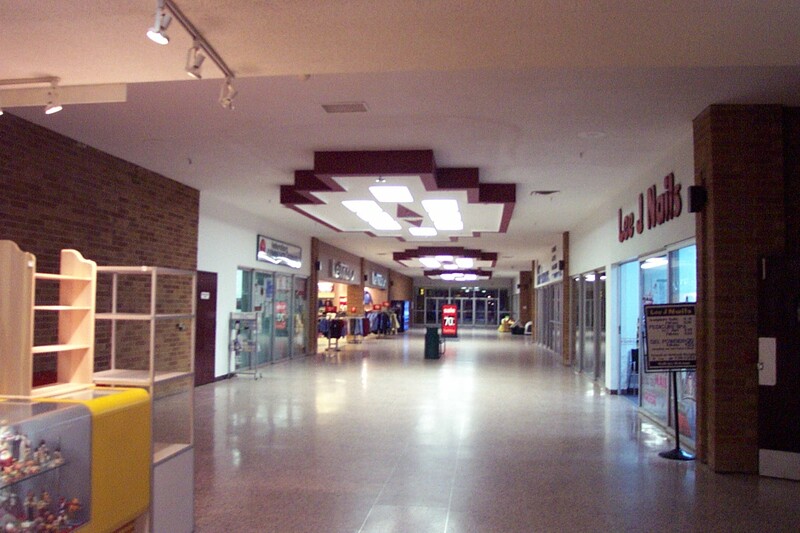 When I moved from Amherstburg the mall was still relatively new and it was a full and very busy place. Of course back then (1980) it was a lot different than it is now. Hope new life can breathed into the place since I still hope to go back to the place I grew up and visit old haunts. From 2001 to 2006, the population of Windsor Census Metropolitan Area (CMA), which according to Statistics Canada includes the towns of Amherstburg, LaSalle, Lakeshore and Tecumseh, grew by 5.4 percent during the same period, from 307,877 to 323,342. And that’s why i said the metropolitan population is 300,000. Because it is. And this statistic is much more useful for our data than of the individual community boundaries, because it gives us the bigger picture of the actual population of the area. Further update: except for the fitness centre and a dollar store, as of July 1st, White Woods has been completely demolished – further pics in the Flickr link I left in an earlier comment. IIRC, A&P has ceased trading in Canada. Actually, upon further review, that whole company is a shell of its former self. With the exception of the 21 stores under the Sav-A-Center banner in LA and MS, all stores are in the Northeast and Mid-Atlantic region of the US. I’d imagine that will shrink even further with their merger with Pathmark, another NJ/NY/PA/DE grocery chain. A&P has sold its Canadian operations to Quebec-based Metro/Super-C, although they still use the A&P banner (wonder how long that will last). That whole chain is in firesale mode. Look what happened with Farmer Jack just across the river in Detroit. The Fort Malden Mall/White Woods Mall site is now the home of a Wal*Mart Supercenter. The A&P name marches on in Ontario–Metro uses it on all stores outside two metro areas (Toronto where it uses “Dominion”, and Hamilton where it uses “The Barn”) A&P corporate took a small share in Metro as part of the deal, perhaps explaining why the licensed continued use of the A&P name. 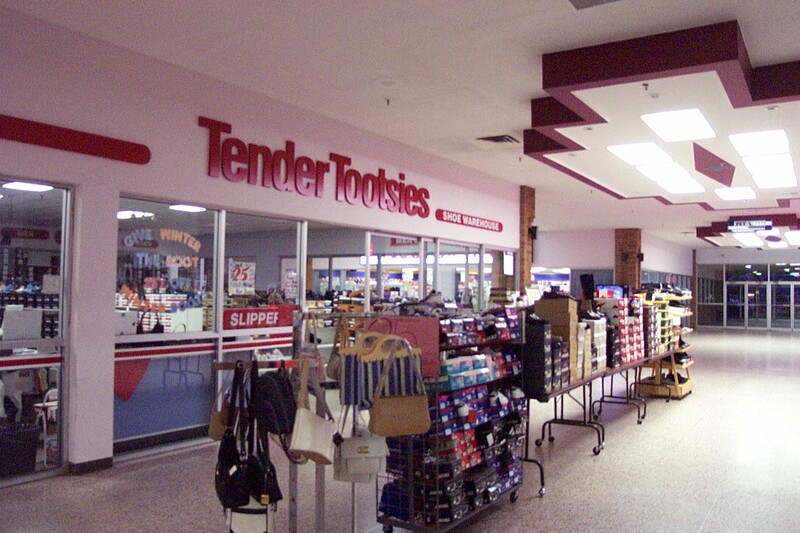 For the record the Amherstburg location I believe opened as a Miracle Food Mart…and would’ve been converted to the A&P name in the early 1990s. I should add that during demolition, parts of the mall remained technically “open” as the outparcels weren’t yet complete. 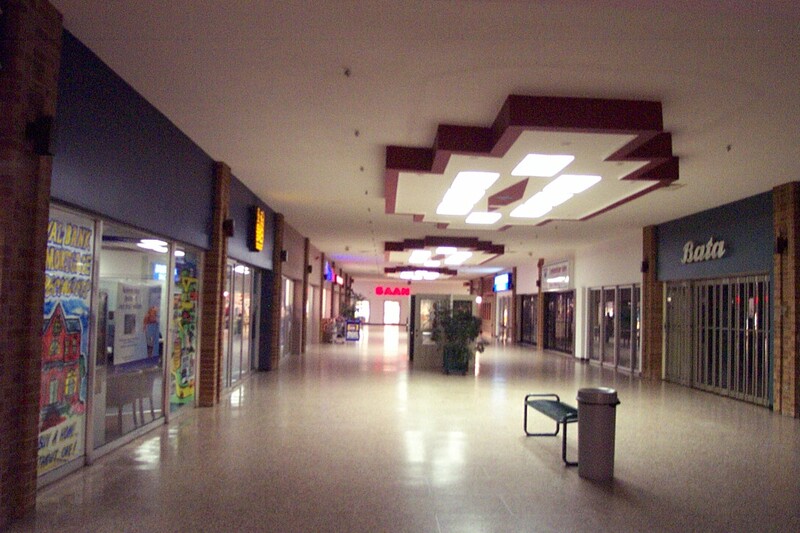 I visited during February 2007, and it was amazing to be walking through a “mall” that had sub zero temperatures due to a lack of walls in some areas–the inline stores generally kept their glass mall doors closed and employees were at some points wearing coats and hats–inside! 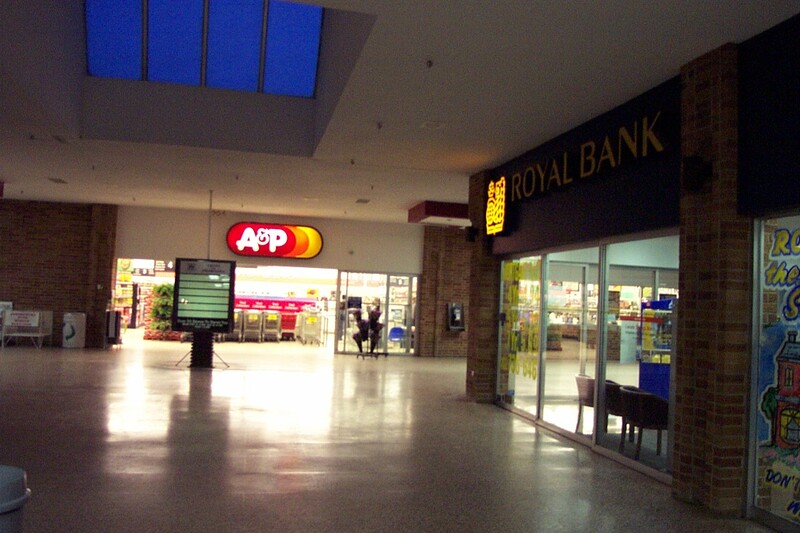 The A&P in the Fort Malden/White Woods (RIP) mall had been an A&P as long as memory permits (early 80s). 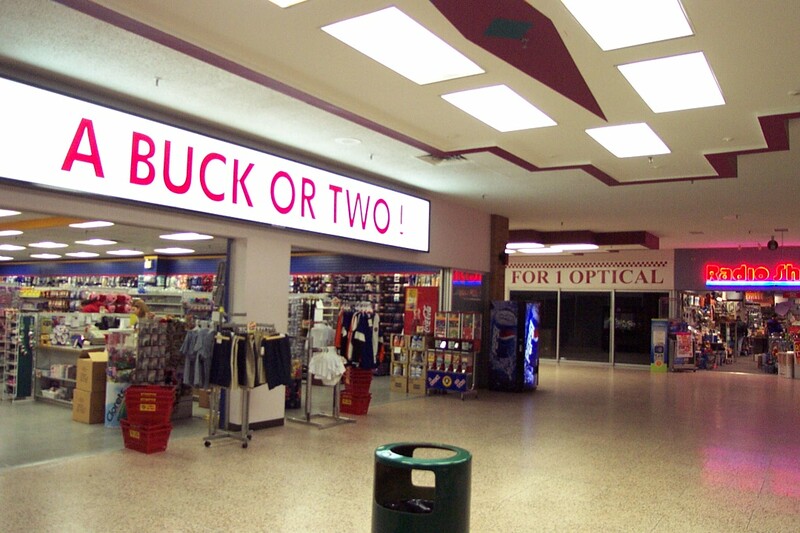 I think there was a Miracle Mart in the Devonshire Mall at one point. Hi, my first post here. I’m Robert from just north of Detroit. In the late 80’s I was camping in the Amherstburg area with my Dad and brother. 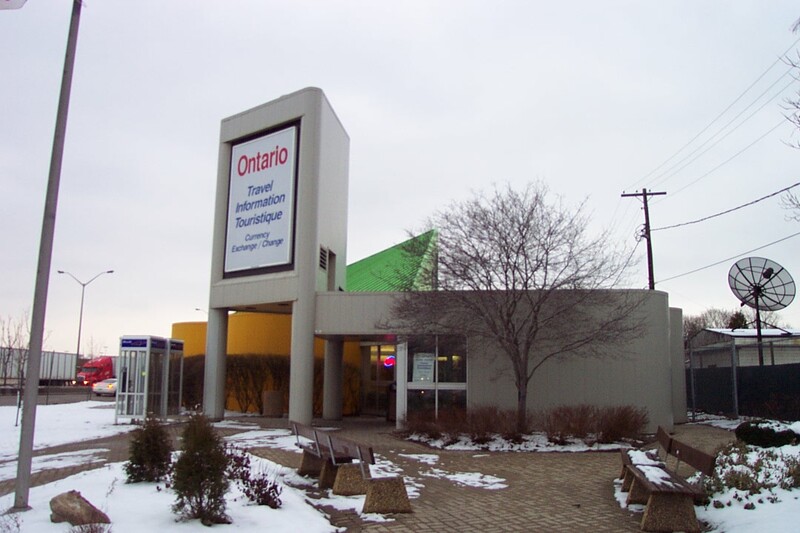 One day my brother and a friend got to take the ferry over to Boblo Island and after we dropped him off my Dad and I went to this mall. I’m sorry to hear that it’s gone. Thanks for the page. At least I can look here and remember. Actually, A&P was looking to sell their Canadian interests…and Metro bought them out. They ended up renaming all their stores as METRO, regardless of whether they were Dominions, A&Ps, Barns, or whatever else. Food Basics haven’t changed names, though…but newer signage has been using the METRO font. I wonder what’s been put in place of the SAAN, since that store went under a year or so ago. That store opened as an A&P in 1976, and closed as an A&P in 2004. Miracle Food Mart in University Mall, and Miracle Ultra Mart in Devonshire Mall, both converted to A&P in the early 90s, with the Devonshire Mall one closing in ’95.